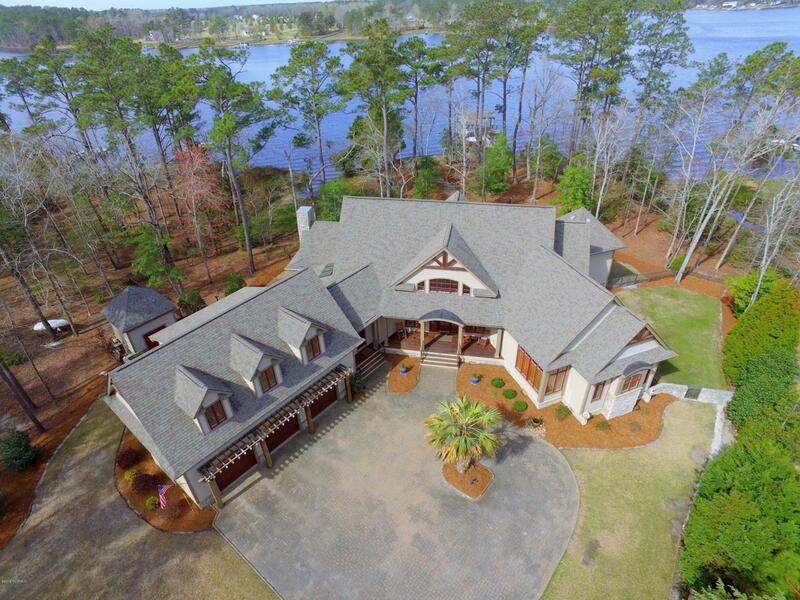 A stunning custom designed waterfront home awaits you on the shores of Dawson Creek minutes from Oriental, NC. If you dream of a beautifully executed waterfront home, with privacy & style, this is the answer. The builder/owner has overlooked no detail. Pls see Virtual 3D tour for full walk thru. Custom Mahogany front door & sidelights, 2+/- ac of immaculately landscaped grounds, gorgeous windows offer lovely views from every room, ipe floors on all 3 porches, pavers on circle drive & walkways, hot/cold outdoor shower, screen porch with interchangeable glass & screen panels, stone fireplace & vaulted ceiling, kitchen has Thermador & Bosch appliances, granite counters, & catering staff will appreciate the additional butler's pantry & laundry room. Master suite includes private deck, marble& stone bath/shower, large walk-in closet. Upstairs are 2 bedrooms, each with en suite baths, as well as a lounge area and flex room. Bonus room is 4th bedroom with full bath. Outside you'll find a waterside patio, over 200' of waterfront with a dock, double boathouse and 10000 lb lift. Dawson Creek has miles of protected water, quick access to Neuse River, ICW and all of coastal Carolina.